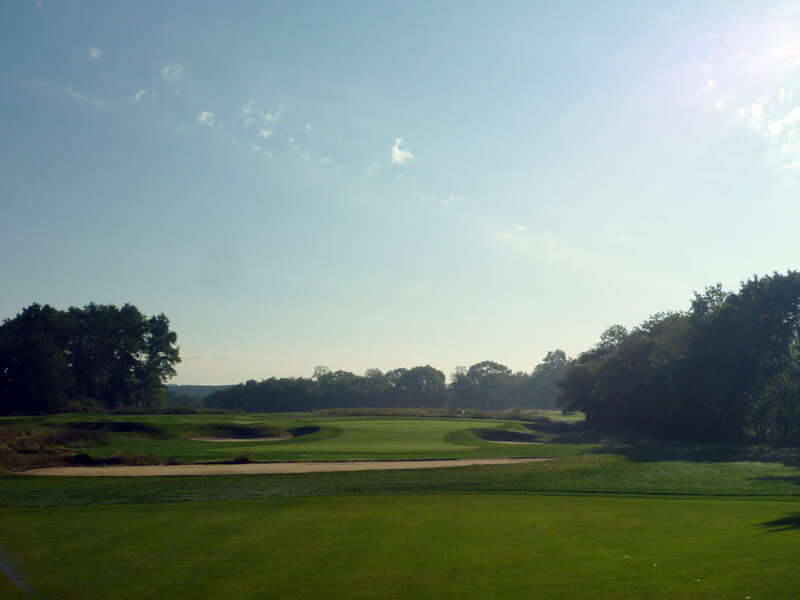 Accolades: Ranked 12th in New York on Golf Course Gurus' Best in State list. What to Expect: The Garden City “Men’s Club” is one of the few clubs that not only has only men as members, but men are the only ones allowed to play. 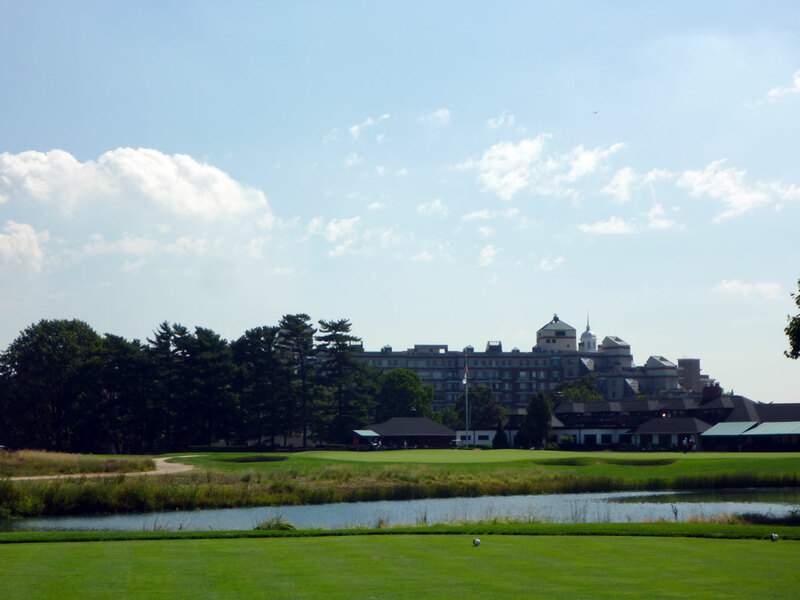 The 1899 course has an old school feel from the moment you step foot inside the clubhouse; a clubhouse that requires the patrons to wear a suit jacket. Old lockers, doors, and photos adorn the property while the unique course layout has features you’d never seen in a course designed today; a 300 yard opening hole and a par three finisher. 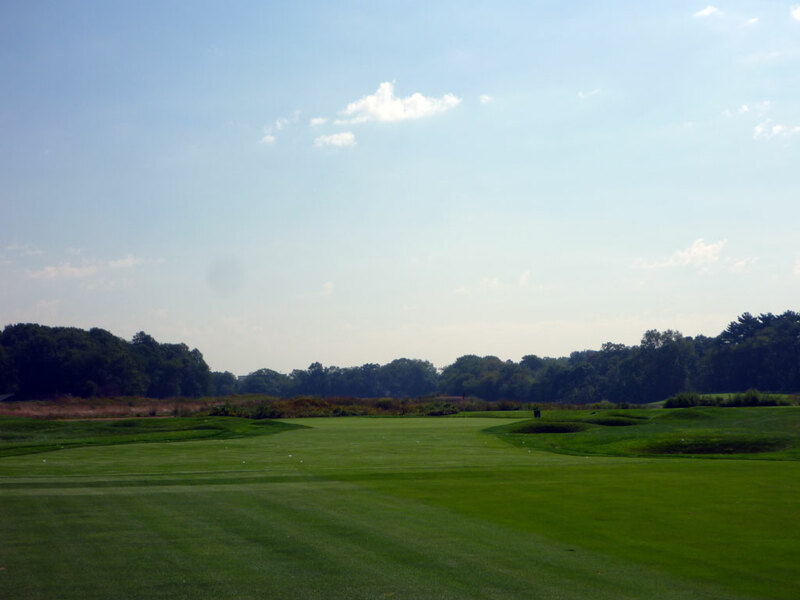 The course feels like a links course with the intimate layout featuring tees close to greens, wide fairways, and fescue grass lining the rough. 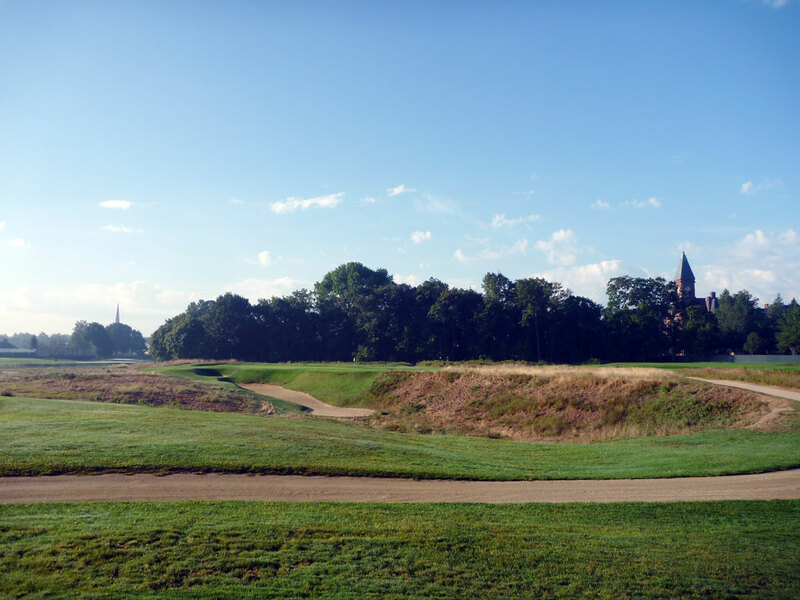 However, many people refuse to classify the course as a “true links” due the distance away from the ocean and soil that isn’t as sandy as coastal courses feature. Garden City is relatively flat with some gentle contours with brilliance featured in the relatively deep bunkering and swift moving greens. All in all, this walking-only course feels intimate in the routing, atmosphere and setting and provides a unique old school layout that is both challenging and fun. Signature Hole: 18th Hole – 190 Yard Par 3 – Very few courses in the world finish with a par three, but the Garden City Golf Club is one of them. Playing over a pond to the green, the putting surface features a strong back-to-front tilt that proves to be the final challenge to overcome at the course. The hole finishes right next to the clubhouse and provides an intimate finish to this special golf course. 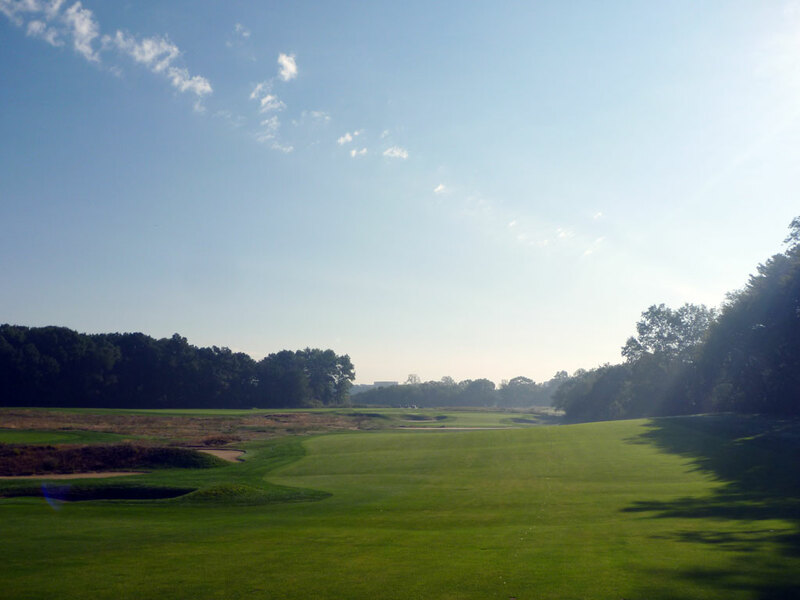 Best Par 3: 2nd Hole – 137 Yards – Short par 3s tend to polarize between being great or being uninspiring. At a course the quality of Garden City, it is no surprise that this sub-150 yard par three falls in the great category. 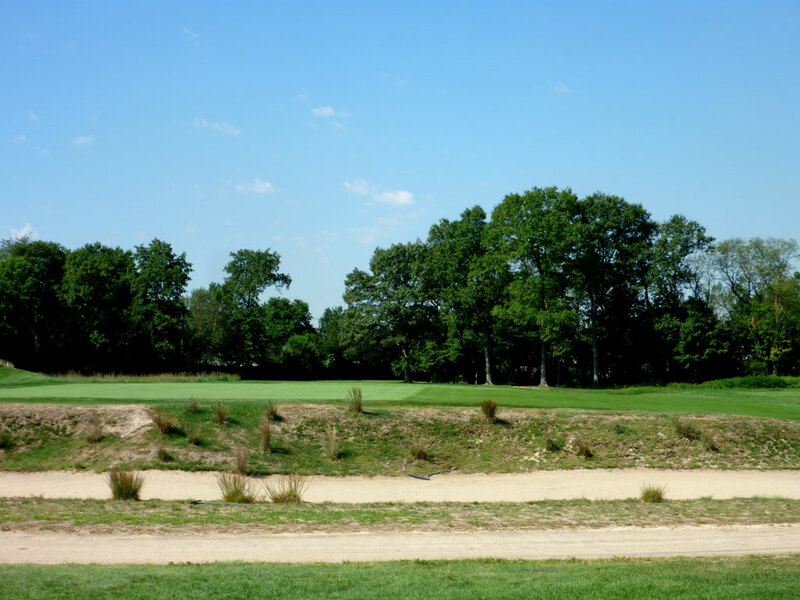 Routed over an old sand quarry, the 2nd hole delivers fear to the golfer despite its short length due to the depth of the quarry bunker coupled with the way that the green is angled away from the golfer as it runs from front right to back left. Trying to bail out to the right is no treat either as your ball is likely to find one of the rear bunkers. 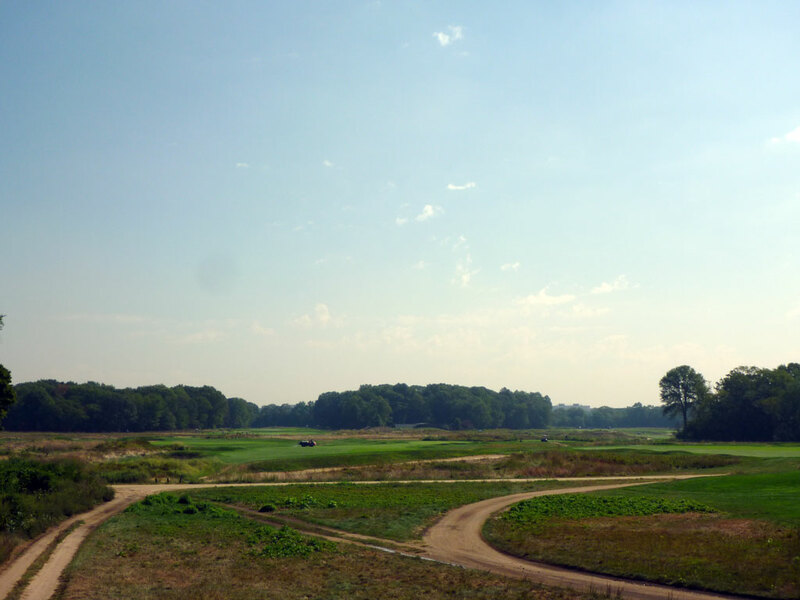 Following up the 300 yard opening par four, the 2nd hole caps a unique start to Travis’ design. 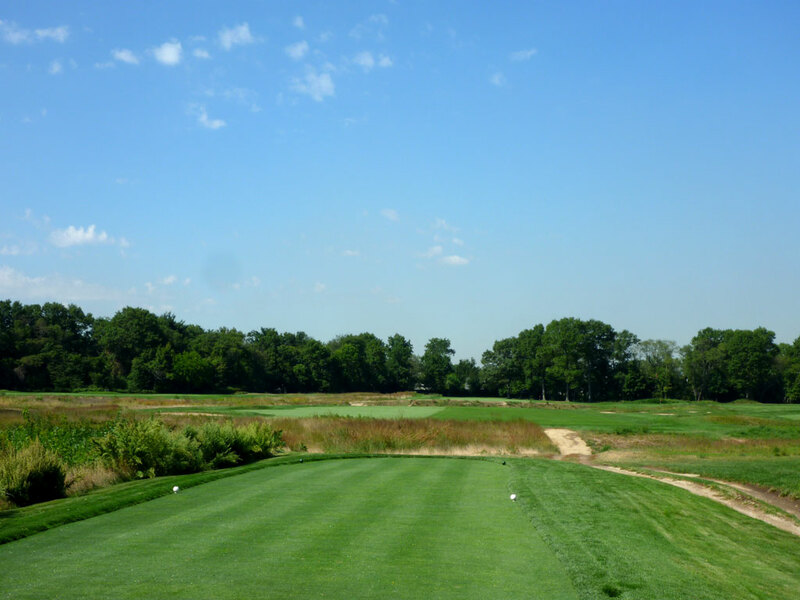 Best Par 4: 16th Hole – 405 Yards – Our caddy informed us that Ben Crenshaw sites the 16th as his favorite par four at Garden City and we concur that it should be featured in the Best Par 4 category. An effort to cut the corner of this dogleg left proves to be an unwise decision due to the trouble that it brings into play and the inferior angle to the green. Bunkers are featured on the left side and right side of this circular shaped green, but aren’t located as close to the putting surface as some other bunkers can be found. Play this hole smart and you will walk away with a smile. 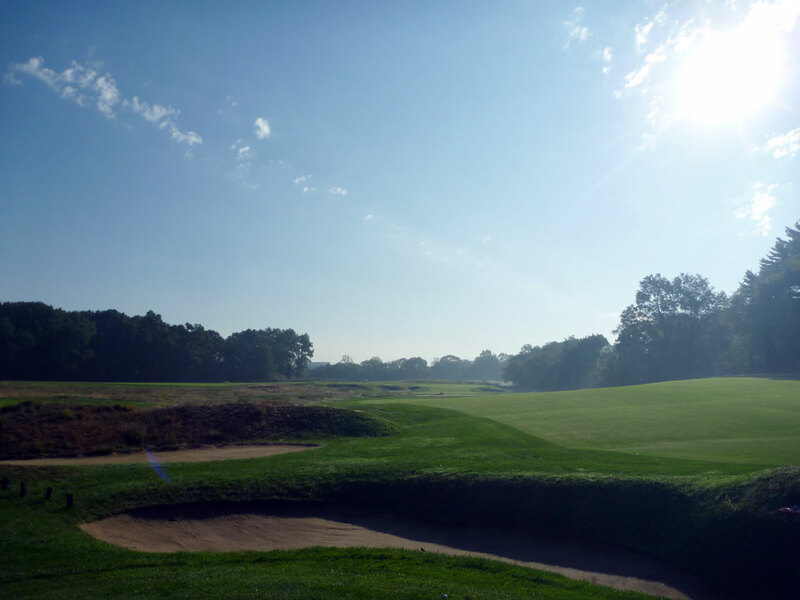 Best Par 5: 4th Hole – 523 Yards – The 4th hole is a reachable par five with o.b. up the right side and a pit down the left side. After delivering the tee shot the player is faced with the decision of going for the green or laying up while avoiding the cross bunker located about 75 yards from the putting surface. Once reaching the green, the golfer is faced with a heavily undulated putting surface that can disrupt a routine two-putt in a hurry. 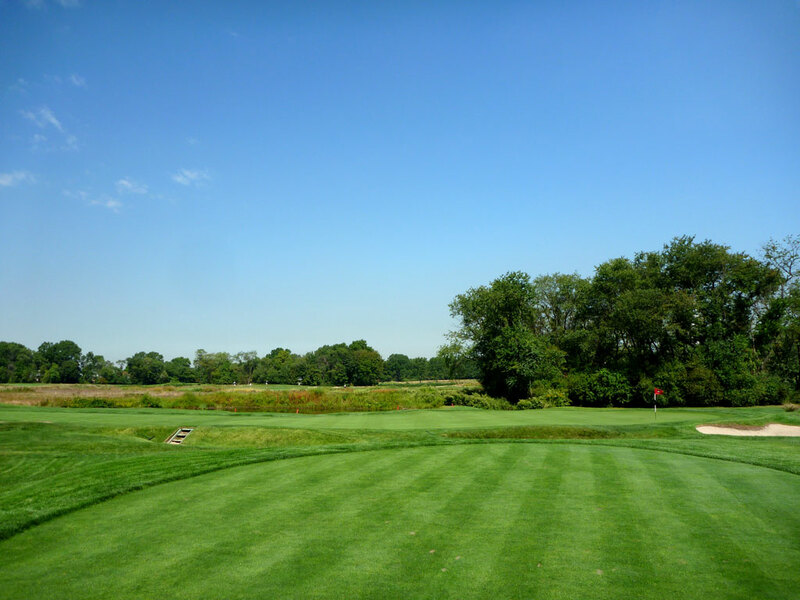 Birdie Time: 14th Hole – 343 Yard Par 4 – Short par 4s are excellent opportunities to score a birdie and at Garden City the 14th hole is a great candidate to take advantage of. 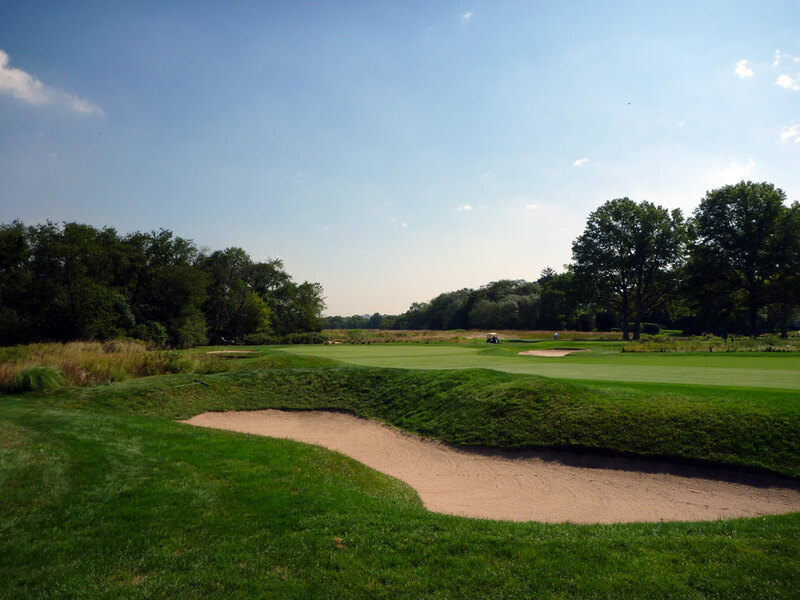 Reachable with a big drive, a ball can be run right up to the green on a straight line, but drives that wander a bit left or right will likely find themselves in one of the several pot bunkers waiting to cause havoc to your scorecard. If you want to layup and wedge it close then there isn’t a lot of obstacles to contend with, but if you’re pulling out the big dog you better plan on hitting it straight! Bogey Beware: 15th Hole – 447 Yard Par 4 – A deep bunker crosses the fairway and causes oodles of trouble to the player bombing a 300 yard tee shot at the 15th hole. As intimidating as the cross bunker is, the slope on the green is even worse. The left-to-right slope on the green is so severe that getting above the hole leaves the golfer with a putt akin to rolling your ball on your driveway. The chance of leaving your putt within gimmie distance is remote while chipping from the left side of the green offers even bleaker hope. To avoid bogey on this hole you have to knock your approach within eight feet and hope for a two putt, or hit your approach right of the green and try to get up and down by chipping back into the slope.